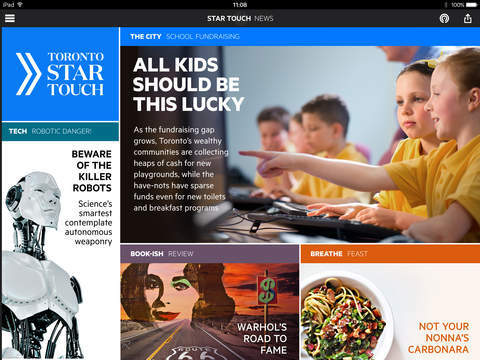 Despite failing to gain attention from its users, the Star Touch tablet app is receiving millions of dollars in funding from the company that owns the Toronto Star. In a statement, Torstar Corp.’s acting president and publisher David Holland told analysts that “We [the company] remains committed to the initiative.” The app is growing at a slow rate, with a total of 55,000 to 60,000 weekly active readers. However, even with the current number of readers, the app will still not be able to generate the revenue the company expected. 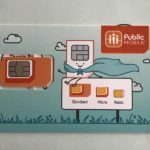 The company spent $10.1 million in the first nine months of this year to try and revive the project. Torstar plans to spend another $1.5 million on the app in the fourth quarter of this year. The Toronto Star is still one of the most distributed papers in Canada, and the company is hoping that a killer tablet app could help bring readership to new levels.